Johannesburg – Even though President Jacob Zuma survived the no confidence vote, political noise will persist leading up to the ANC elective conference in December, which may put pressure on the rand, said an economist. On Tuesday a total of 177 MPs voted in favour of the motion of no confidence with 198 against it. The rand lost the gains it had made leading up to the vote. It has since stabilised, said Old Mutual Investment Group Economist, Tinyiko Ngwenya. The vote has only managed to remove short term uncertainty and all eyes are on the upcoming ANC elective conference. 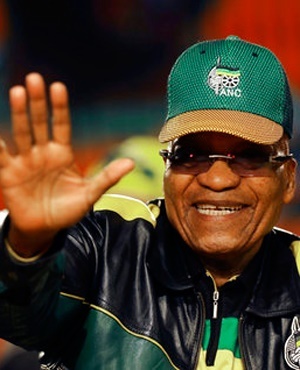 Professor Jannie Rossouw, head of the School of Economic and Business Science at Wits University, told Fin24 that the narrow margin by which the Zuma-faction won the vote shows that the president’s power grip on the ANC is slipping. Rossouw said this could mean that Zuma’s influence on the ANC’s succession battle may be limited. Ngwenya pointed out that political uncertainty remains a key concern of ratings agencies. This impacts confidence and ultimately the economy. South Africa has not been experiencing the benefits other emerging economies have following the recovery of the global economy, she explained. Rossouw added that Zuma retaining his position has not done anything to remove any downgrade risks. Ngwenya said the economy is still bond-friendly, with inflation expectations drifting lower. Investors would likely choose to invest in short-term and long-term bonds due to political uncertainty, the economy and ratings outcomes. “The global economy and weak dollar should, however, still be supportive of the rand,” she said. Old Mutual still expects further rate cuts, one before the end of the year and two more in 2018. Ngwenya said that the growth challenges would not have been alleviated by the removal of the president. Business Unity South Africa (BUSA) is concerned about the economic impact the political uncertainty will have. “Political uncertainty is compounding the challenges facing South Africa. The economy is in recession, is bleeding thousands of jobs across the many sectors of industry and there is a significant increase in corruption and maladministration, with strong warning bells coming from the recent sovereign credit rating downgrades,” said BUSA chief executive Tanya Cohen. Ngwenya said it is important for investors not to be distracted by “short-term” noise and consider their financial plans are aligned to long-term goals. Diversifying asset classes is important during such times of uncertainty.